The incredibly awesome union of McFly and Busted just got cooler. 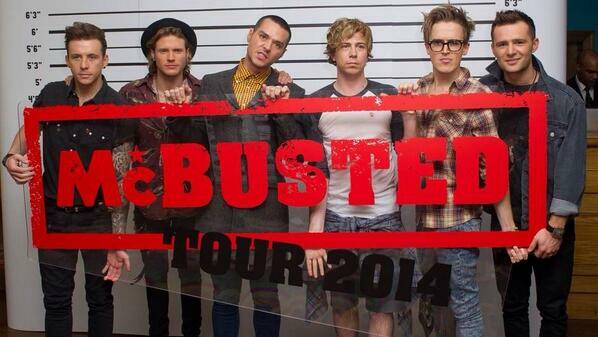 Together, the British boybands have created McBusted and have sold out their insanely successful reunion tour dates. Not wanting to stop there, the lads have announced that they will be joining One Direction on tour. 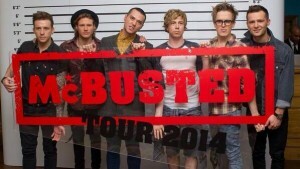 McBusted will support One Direction on the “Where We Are” stadium tour in Paris. The bands will share the stage at the Stade de France in the capital of love on June 21st. Tom Fletcher of McFly recently went viral on YouTube following this adorable video of his wife and newborn son. I’m so happy for all of McBusted’s success. I’m just patiently waiting for them to come back to New York so I can finally see them perform live!